Bergamot and citrus gardens in the city of Reggio Calabria has been the inspiration behind the project Estate, telling the uniqueness of some elements of the landscape in this southern part of Calabria. 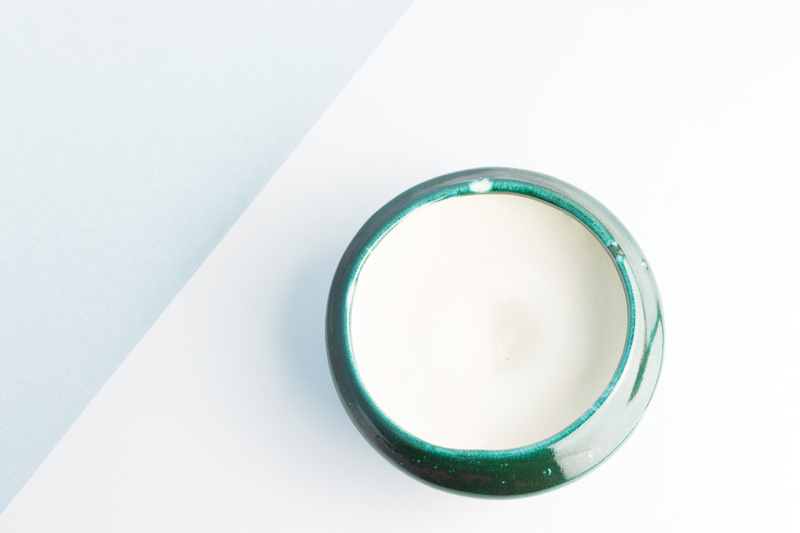 Estate is a collection of ceramic natural diffusers for floral and citrus fragrances produced in the territory: Tangerine, Neroli, Orange and Bergamot. 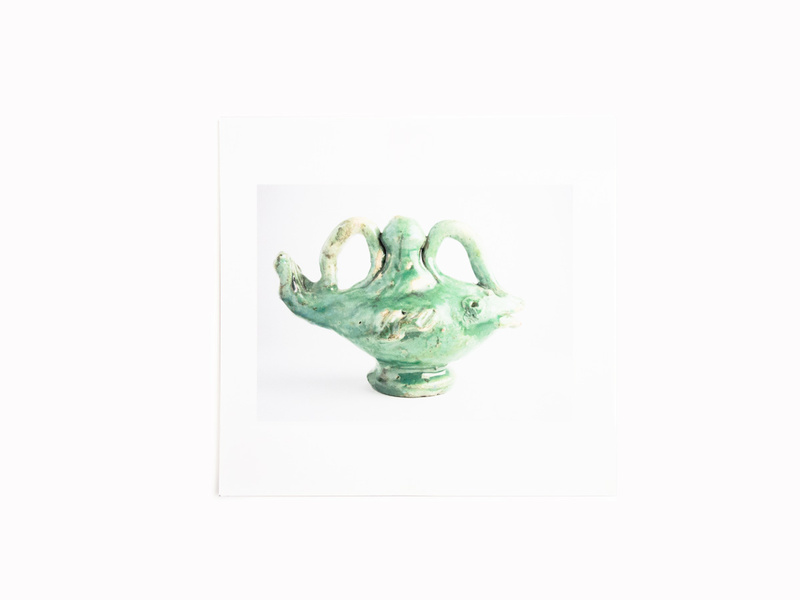 Each piece is designed observing the details of the traditional pitchers with their natural and symbolic forms. We have been fascinated by their irregular surfaces, speckled and dipped with the typical colours. 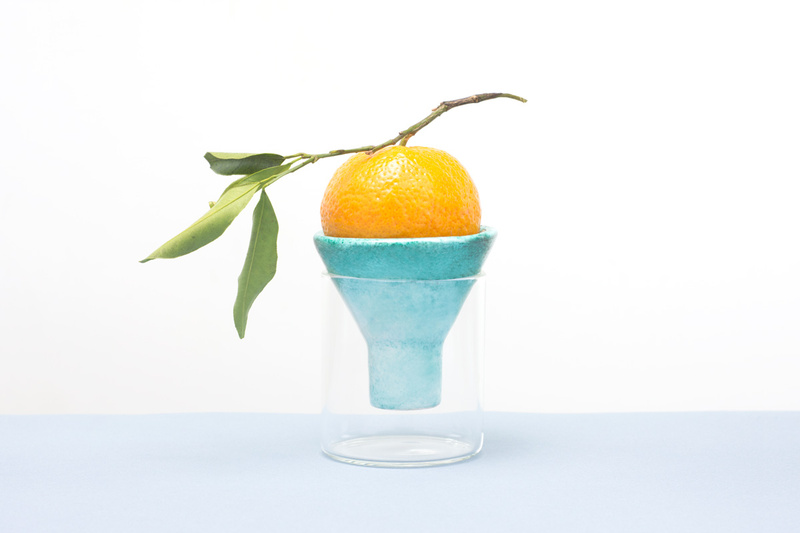 Ceramics are realized in collaboration with the laboratory Technelab in Reggio Calabria, experimenting with use and combination of traditional colours and oxides: Ramina Green, Ochre Yellow, Cobalt Blue. 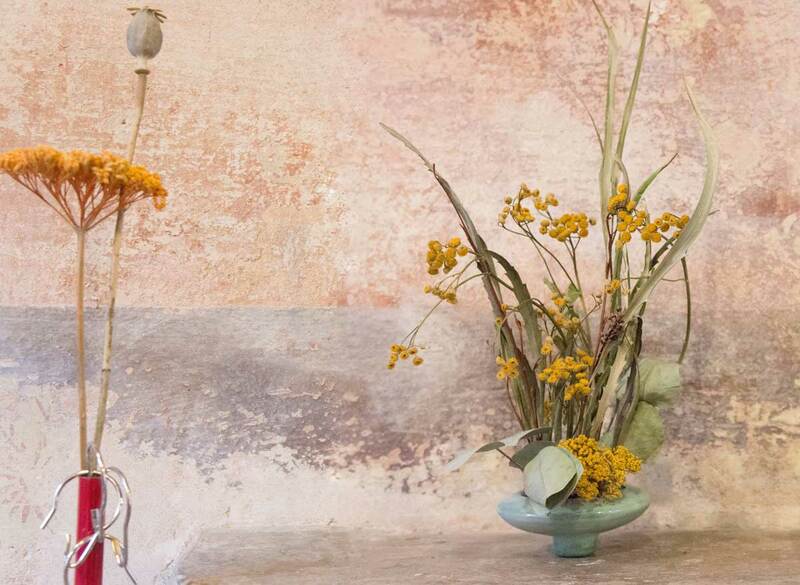 The collection is based on a research exploring the origin of Aqua Mirabilis, a scented water created in the eighteen century with Bergamot, the rare citrus which grows almost exclusively on the Ionian coast around Reggio Calabria. This invention introduced Bergamot as the main basic component in the perfumes production, due to its ability to fix the aromatic bouquet and harmonize all the essences. 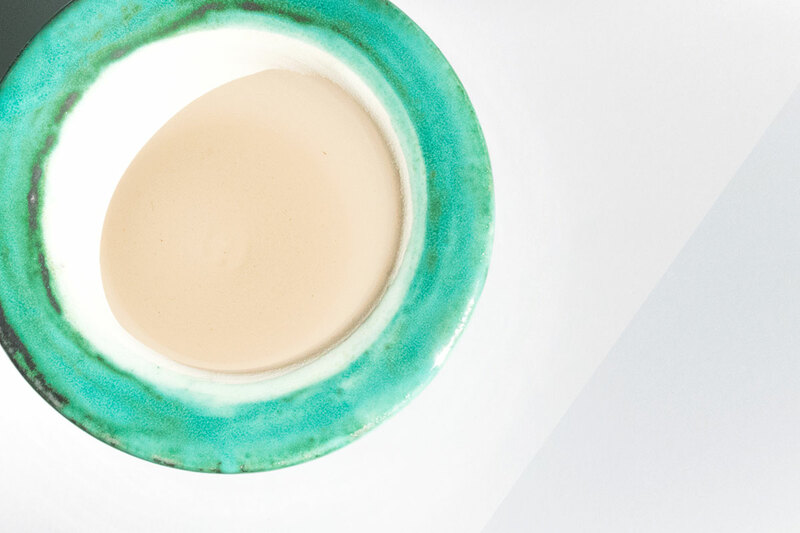 Referencing this tradition, the collection investigates the process of combining natural fragrances and scented waters. The essential oils are poured into the unglazed inside. 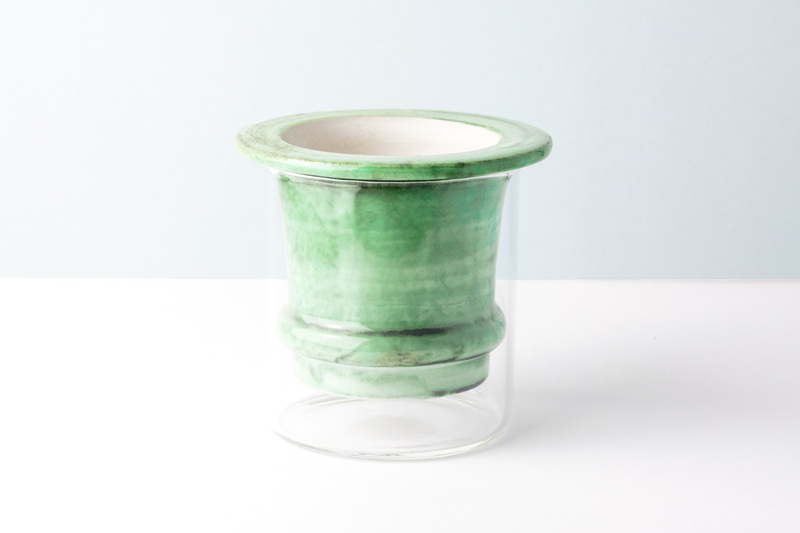 The material porosity allows the scented oils to absorb into the ceramic and then slowly diffuse out. The diffusers are combined with glass containers and other tools for the domestic use of essential oils and for soaking flowers or herbs to prepare aromatic waters. 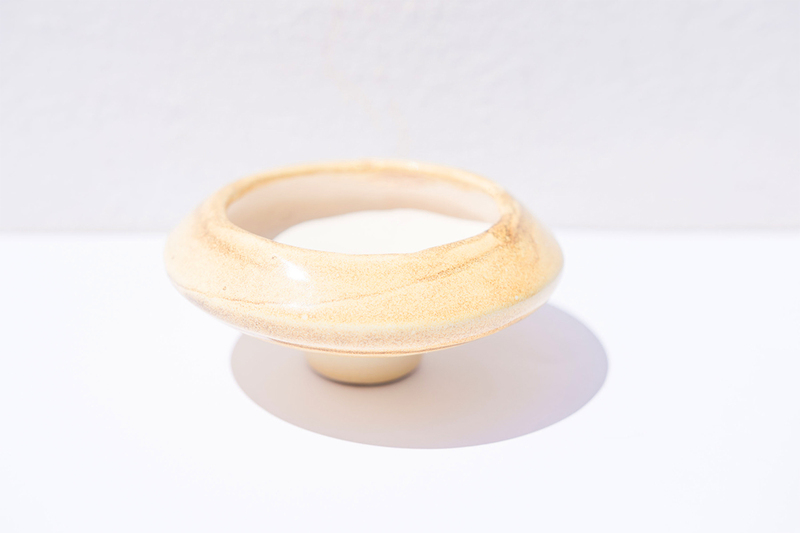 The water evaporation through the ceramic enhances the natural diffusion of the essential oil held in the material, creating unique scent combinations. 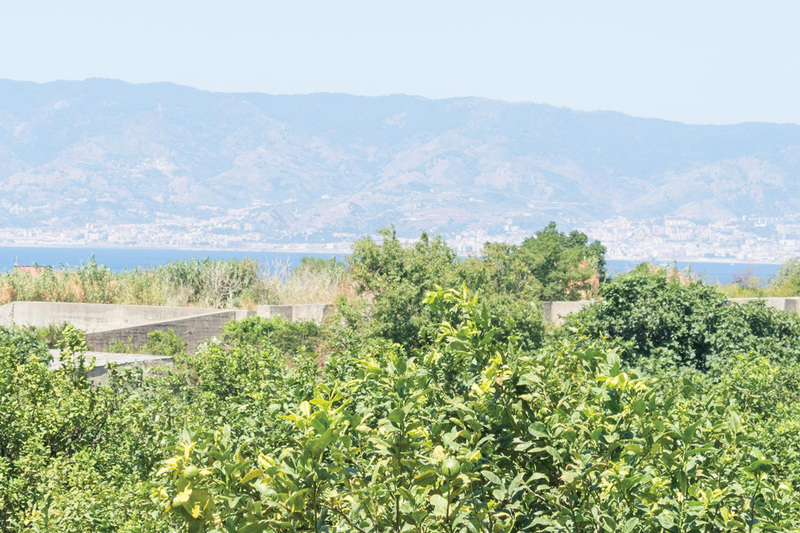 Estate is also a research on the particular interferences between natural elements and build up environment made in Reggio Calabria between july 2016 and february 2017, into bergamot and citrus gardens in the northern periphery of the city.